Message #1 Posted by Michael de Estrada on 2 Apr 2013, 8:59 p.m. This unit is similar to the Omron 12SR in that it uses a green VFD display and has a hard slider switch to change angular mode between degrees and grads. The other three models are the Privileg SR54NC, Corvus 500 and APF Mark 55, which have red LED displays and lack the degrees<>grads switch. 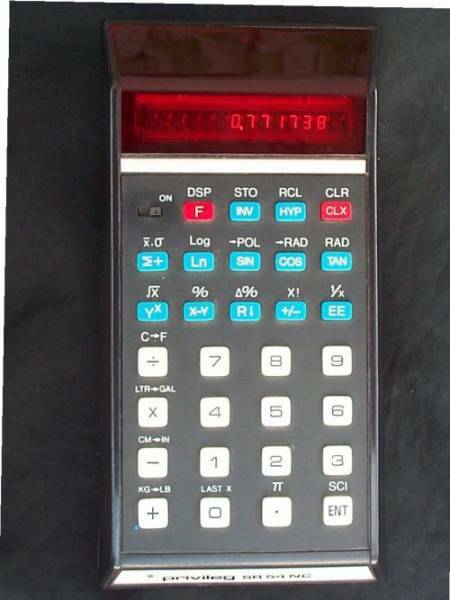 These calculators have twelve digit displays, two more than HPs of the day, and implemented hyperbolic functions before HP did. There are two more models that are simply rebranding, the Emerson E12 twin to the Corvus 500 and the GE CE 93 twin to the Omron 12SR. Is there any information on which Mostek chip (usually MK5 prefix) is used in each of those models? Thanks. The chipsets are Mostek MK50075A (data processor), MK50103 (ROM), MK50104 (ROM). Very nice collection. 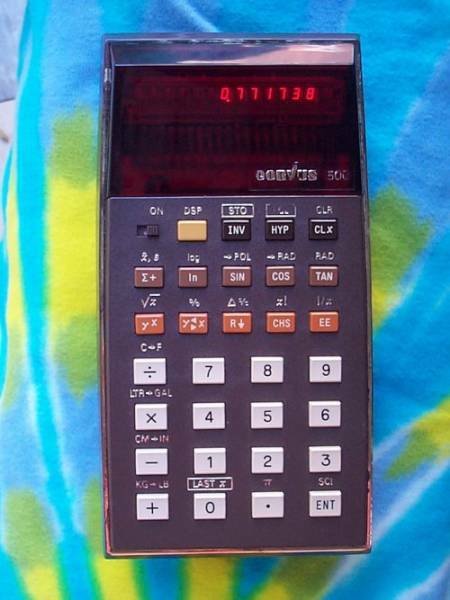 I owned the Sanyo model for a week before I left Iraq in 1978. I had visited a new governmental outlet that sold calculators and other high precision instruments at very reasonable prices. I saw the Sanyo model and quickly realized that it was a clone of the HP-45! I did not believe my eyes that such an outlet was selling an RPN calculator!!!! Since it was reasonably priced, I got one. When I left the country a few days later I left it behind and never saw it again. I was traveling with my beloved (and somewhat newly acquired) HP-67, I was later reunited with my HP-55, which my family brought to me in France. It would be nice to get my hands on the Sanyo model again! Great story ! I too regret having left behind some of my old calculators. The Sanyo CZ 2901 has proven to be the hardest to locate and the most expensive to acquire. The only other Sanyo product I've ever owned was a Sanyo MBC-555, which was an early clone of the original IBM PC that was based on the NEC V20 CPU. 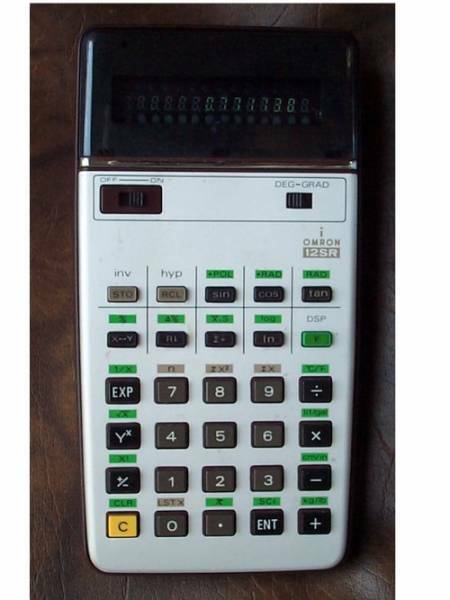 I've never owned any Sanyo calculators, although I have a slew of non-RPN Sharps, including the PC-1211 Basic computer. The APF Mark 55 has been easiest to locate, and the cheapest to acquire. I've got 3 of them, and paid only $20 for one and $25 for another. Hi ! I own one of these Sanyo 2901, it is a great machine. 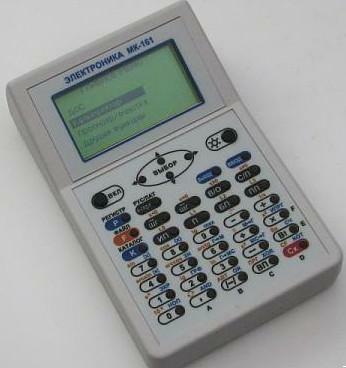 I fell in love with it at first sight, and might kill to get the CZ 0911PG programmable non RPN, which shares the housing with the 2901 and a few others. Still, I bought recently a Santron 626, which is a Commodore PR-100 like, but much closer to the 0911PG..
Congratulations Michael, on drawing a full house. That Sanyo CZ 2901 is a jewel. Will our next purchases be the WP43, or whatever it gets called? I hope so. The MK-152M (mechanical switch version of the MK-152) and MK-161 actually give another interesting idea for DIY calculators - similar to the �Watch's PCB overlay, use a mylar sheet printed with the legends, with a hole for the actual tact switch. I wonder how bad the MK-152's keyboard feels. That's basically what Richard Ottosen and I have done for most of our prototypes. We use a laminated photo paper overlay and tact switches. The switches that Richard and Eric use are snappier than the MK 152, though the Russian model works just fine. Being a desktop; the 152 is able to have more space around them. That's nice if you have fat fingers. You lucky dog, you. I stopped with the APF Mark 55 and Privileg SR54NC. At the time, I wanted to also add the Corvus 500 and Omron 12SR but, they were either not up for auction or at very high bids. Yes, thanks, I am very happy. It arrived today and it's mint. 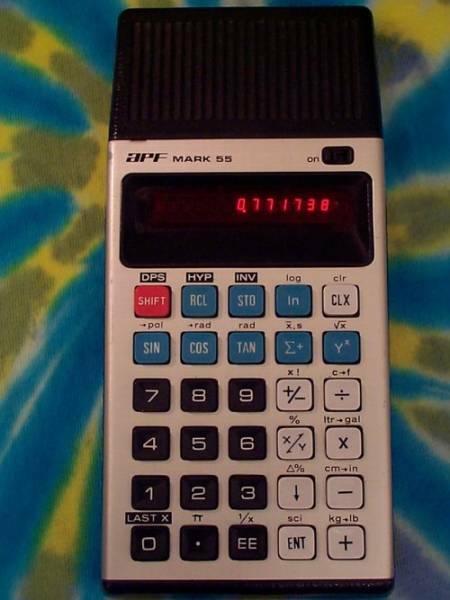 It's actually a rather massive calculator, about the size of an HP 19C and way too big to fit in a shirt pocket. The keys are really large and spaced far apart, so they are very easy to use like on a desktop calculator. The VFD digits are larger and brighter than on the Omron. Keep looking and be patient. From time to time the Omron 12SR will show up and sell for a modest price. I haven't seen a Corvus 500 for a while, but who knows maybe another will show up as well.